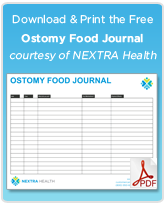 Sunday, July 25th was Ostomy awareness Day and the Internet was active with osto-activities! The Hollister supported C3Life.com pledge to donate $1 dollar per tweet went extremely well – in fact, the maximum donation of $2500 was reached! I even noticed an ostomyday tweet by Alyssa Milano, who has, like, a gazillion Twitter followers. Daniel from the Talkin’ Bout Guts (along with a few others!) endured a full day of broadcasting with live chat, streamed from the Talkin’ Bout Guts Website. C&S Ostomy Pouch Covers pledged a donation of 10% of sales on Ostomy Day and 2 free covers for any purchase of 6 covers or more. 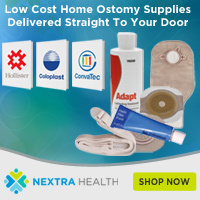 STLMedical.com pledged a donation of 5% of all Ostomy Supply sales for a total donation of $1066. Thanks to everyone who participated in Ostomy Day! Let’s look forward to next year.